Florida has one of the highest foreclosure rates in our country. If you are facing foreclosure, it is important to be mindful that there are certain companies purchasing a large number of mortgage foreclosure judgments in the State. Once they are the owner, the company sues you for a deficiency judgment after the foreclosure of your home is finalized. Losing your home is difficult, but facing a judgment against you for a large sum of money can be devastating. 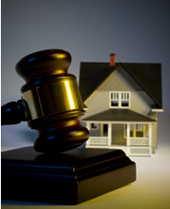 There are two main steps involved in the foreclosure process. First, the mortgage lender or servicer files a foreclosure lawsuit seeking a judgment from the court granting the lender the authority to foreclosure and sell your home. This judgment may include the ability of the court to enter a deficiency judgment after completion of the foreclosure sale if the house is sold for less than the judgment amount. The deficiency balance is usually a significant sum. Florida residents who have had their home foreclosed can obtain some relief under the “Florida Fair Foreclosure Act.” Among other things, this Act significantly reduced the statute of limitations and a creditor’s ability to pursue a deficiency judgment from five years to one year. The Act also increased the pleading requirements the plaintiff must meet in order to pursue a deficiency judgment, and it in some cases it may reduce the deficiency balance. However, because the Act makes the process move faster, it can inhibit a homeowner’s ability to investigate and discover valuable defenses. Thus, if you believe a lender will pursue a deficiency judgment against you, it is imperative to obtain legal assistance as quickly as possible. If you are delinquent on your mortgage payments or you have a foreclosure action pending against you, contact us for a free consultation to learn how filing for bankruptcy could help. Filing a personal bankruptcy may allow you to discharge the full amount of the deficiency balance left after your home is foreclosed. If you are interested in learning more about how a deficiency judgment will affect you, contact Faro Crowder, PA to schedule an appointment. We are located in Melbourne, Florida on Sarno Road and serve residents and businesses of the Space Coast and Brevard County. This entry was posted in Foreclosure and tagged deficiency judgment, Florida, foreclosure, mortgage on June 30, 2014 by Michael Faro.